2018 is shaping up to be one of the most pivotal legislative elections in North Carolina history. This report has been updated to reflect spending by candidates, parties, and outside groups as well as more recent polling data in districts. As we get closer to the election, there are the 22 House and six Senate districts we believe are most likely to change parties this cycle. This report combines an analysis of district voting data, national and state polling, and qualitative factors, such as local issues and relative candidate strength. These are analyses not endorsements: we’ve looked for races that could be competitive in the general election, but this shouldn’t be taken as an indication of support of any one candidate over another. For five years now, Republican majorities in the North Carolina legislature have been elected under maps that have been found to violate the Constitutional rights of North Carolinians. The nation’s highest court – including a Justice appointed by President Donald Trump - found these legislators’ actions discriminatory yet they treat this news like another round of a child’s game. We have seen why fair and nondiscriminatory representation is important time and again. 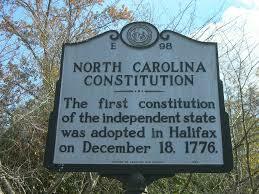 Fourteen times, laws enacted by this unconstitutional General Assembly have been found unconstitutional. Laws that have rigged the system and earned North Carolina headlines for all the wrong reasons. Whether it’s restricting women’s access to health care or the worst voter suppression law in the country, these unconscionable actions by the Republican led General Assembly have hurt every citizen of this state. In their decision striking down the voter suppression law, the Fourth U.S. Circuit Court of Appeals called out North Carolina Republicans for targeting black voters “with almost surgical precision.” When will it end? From the State Supreme Court to the Fourth Circuit and all the way to the U.S. Supreme Court, courts have not been fooled by the actions of North Carolina Republicans who have enacted laws under the dark cloud of a racial gerrymander. The cases range from the drawing of district maps to coal ash to defunding Planned Parenthood to Elections and Ethics Reform, taking power away from the Governor. In each instance, the rulings have been clear that the partisan power grabs are wrong and they must end. The N.C. General Assembly filed six potential amendments to the state constitution during the 2018 short session. This chart will be updated as they move through the NCGA. The Republican-led NCGA returns Tuesday for a last-minute special session where anything could be on the table.There have been rumors about a move to undo Republicans’ 2016 law making NC Supreme Court Races partisan. Republican efforts to crowd the field for Democrats in the 2018 Supreme Court race (after they eliminated primaries) backfired when Republican Chris Anglin filed on the last day. Following Democrat Mike Morgan’s 2016 election to the NC Supreme Court, Republicans solidified their attempts at meddling in judicial elections, especially the Supreme Court. Since December of 2016, Republicans have made moves toward grabbing judicial power and have altered the way North Carolinians elect their judges. Let’s take a look back on the efforts they’ve made to alter the system that elects the judges that keep ruling against Republicans’ unconstitutional laws. With Democrats in 170 legislative seats, Republicans in 168, and even Libertarians and Constitution Party candidates filing in some seats, 2018 is shaping up to be one of the most pivotal legislative elections in North Carolina history. Additionally, with a record six constitutional amendments added to the ballot in the last month an already unpredictable cycle has been given an added twist. This updated report combines an analysis of district voting data, national and state polling, and candidate fundraising numbers with qualitative factors like local issues and relative candidate strength. In total, Real Facts NC thinks that 36 House races are shaping up to have competitive campaigns run by both of the major parties in districts that could conceivably go to either. Democrats need to pick up four seats in the House and six seats in the Senate to break the supermajority. They need 16 seats in the House and 11 seats in the Senate to win the majority. Ten of the competitive House districts in this report are already held by Democrats. A number of Democratic challengers have outraised their Republican opponents in races featured here. Already, outside spending on broadcast and mail has been reported in 12 of the districts featured in this report and it seems likely that more is on the way as August heats up. Check out the report here. The NC General Assembly voted to override a number of vetos from Governor Cooper during the final days of the 2018 short session. In this Real Facts NC Candidate Profile, we turn our attention to the North Carolina Supreme Court and Associate Justice Barbara Jackson. Jackson was elected to the NC Supreme Court in 2010 and is running for re-election this upcoming November. Before becoming an Associate Justice, Jackson was elected as a judge on the NC Court of Appeals and served for six years. 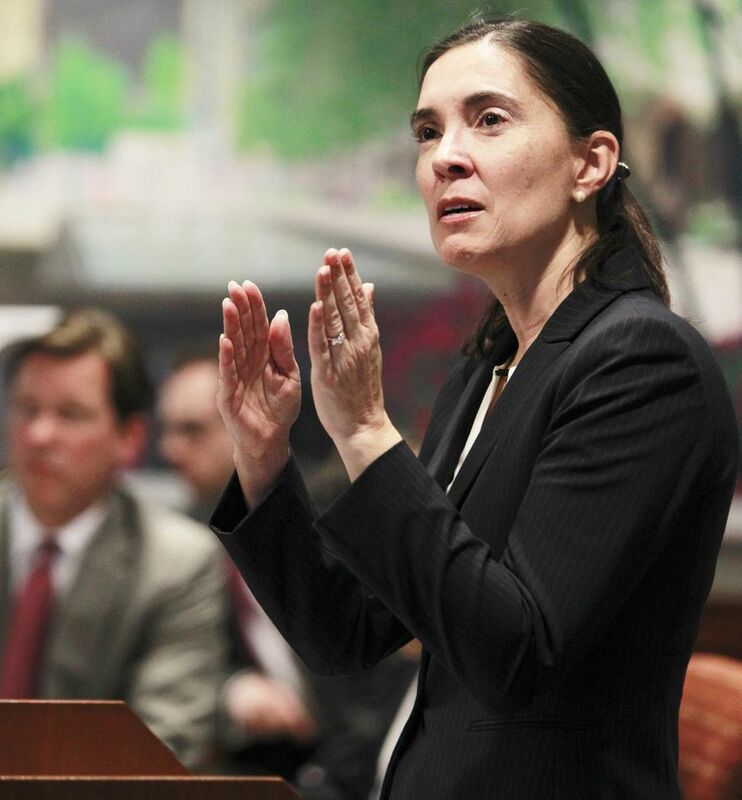 Prior to her judgeship, Jackson practiced law for fourteen years, including time as General Counsel to Republican Cherie Berry in the NC Department of Labor and in the office of Republican Governor James G. Martin. Read the full profile of Jackson here. “We are compelled to exercise judicial restraint and defer to the General Assembly's judgment.” – Jackson in Dickson v. Rucho, on the right of the General Assembly to keep secret its communications about the 2011 legislative maps that were later ruled unconstitutional. Republican leaders in Raleigh have taken unprecedented steps to pass this year’s budget behind closed doors. They will likely finish that up Friday, and they don’t plan to do much else this session so they can get back to fundraising from lobbyists and glad-handing in their districts. It is clear they have been forced to limit the amount of time they spend doing the jobs they were elected to do because Republican priorities have proven so deeply unpopular that even members once in safely gerrymandered districts face real challengers. Seven years ago, shortly after historic wins brought Republicans into control of both chambers of the legislature for the first time in a decade, Thom Tillis, then the newly elected House Speaker laid out their agenda in a candid moment caught on camera. Tillis said that their philosophy was one to “divide and conquer” North Carolinians. Nearly a decade into Republican control we can see Tillis’s philosophy has been implemented with almost surgical precision. With Democrats in 170 legislative seats, Republicans in 169, and even Libertarians filing in 35 legislative districts, 2018 is shaping up to be one of the most pivotal legislative elections in North Carolina history. And with no race on the ballot above Supreme Court, these elections will get more attention than ever before. This report combines an analysis of district voting data, national and state polling plus qualitative factors like local issues and relative candidate strength. In total, we think that 35 House races and 13 Senate races are shaping up to have competitive campaigns run by both of the major parties in districts that could conceivably go to either. We have also identified a handful of other races worth keeping an eye on for other reasons. We’ll look at the 35 House races and 13 Senate races we think will be the most competitive in the fall and a handfull of other races we think will be interesting to watch for other reasons. Read the House report here and the Senate report here. Senator Joel Ford (D-Mecklenburg) sent at least one newly registered voter a letter breaking state ethics rules. The Insider reported on mail sent from Ford’s office on official stationary encouraging them to vote and to follow Ford on Twitter where he regularly promotes his campaign. The letter appears to have been mailed using state resources, including official stationary. Lawmakers are barred from sending this type of letter using state resources within 60 days of an election in which he or she is on the ballot in a contested race. Ford faces a primary with strong challenger Mujtaba Mohammed, a Charlotte lawyer who has received several key endorsements, including from the Charlotte Black Caucus, Equality NC and the Charlotte Observer Editorial Board. The letter was postmarked inside of the 60-day window, a clear ethics violation, which prompted the complaint filed by Real Facts NC Executive Director Daniel Gilligan. Ford himself acknowledged sending the mail in question in an article from the Insider. Read the full complaint here.